Research shows that feeling unsafe at school affects students’ ability to learn, focus, and take academic risks. With student safety and success on the line, we’ve been consistent and unwavering in our bullying prevention efforts since the mid-1980s. Millions of elementary students across the country receive our Bullying Prevention Unit each year. Taught in conjunction with our social-emotional learning (SEL) curriculum, this research-based curriculum reflects our nearly forty-year commitment to fostering the safety and well-being of children. Like Second Step SEL, the Bullying Prevention Unit is easy to implement, and it offers class materials, comprehensive staff training, and online media—including award-winning lesson videos created by the Committee for Children team. The Bullying Prevention Unit uses and builds on the social-emotional skills taught in our core Second Step program. 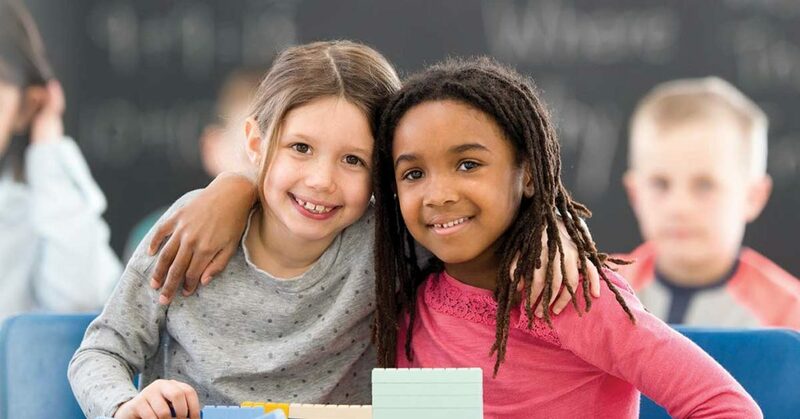 The unit helps elementary students and staff develop the knowledge and skills they need to prevent and respond to bullying and foster a school climate of safety and respect. To address bullying in schools, the Second Step Bullying Prevention Unit provides three training modules for staff—one for teachers and counselors, one for principals and program coordinators, and one for all staff, intended for any adult who interacts with students and can be of help when bullying occurs. This whole-school approach helps create a positive, supportive environment where students can feel safe, focus on their education, and thrive. Bullying happens, and we can all do something about it. When it comes to deterring bullying in schools, prevention is key. Learn more about bullying prevention in schools and our Bullying Prevention Unit.